RUSH: We looked it up. In Obama’s 2010 State of the Union, he used the pronoun “I” 105 times. Trump last night used the pronoun “I” 29 times, and the personal pronoun “we” even more than that. Obama said “I” 109 times, “I’m” 16 times, “my” 10 times, and “me” 11 times. 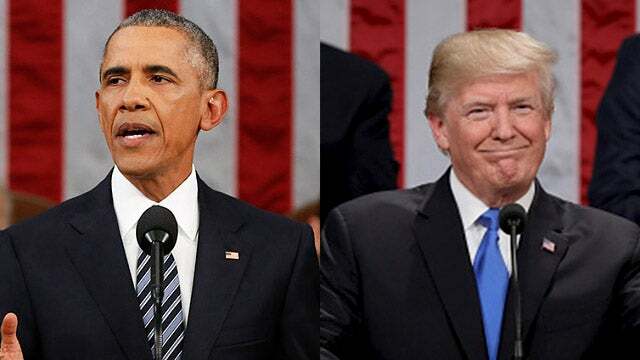 So let’s add that up: 105 and 16 is 121, and 10 is 31, and 11 is… So 142 times Obama referred to himself in the 2010 State of the Union. Last night, Donald Trump referred to himself 29 times. They say Trump is a narcissist and they say Trump is self-focused and all of these other things. Donald Trump last night bore no resemblance to the Donald Trump that is portrayed every day and has been portrayed every day for over two years by the Democrat Party and the American media — which is redundant. It’s one and the same. He didn’t sound like, he didn’t look like, he didn’t act like one example of it. He didn’t look a thing like the Donald Trump that is portrayed in the media each and every day. So it begs the question: How many Democrats watching this were perplexed and surprised by what they saw? Don’t forget the CBS number, folks. I’m telling you. Forty-three percent of Democrats who watched this thing last night liked it. That’s a big number. RUSH: Did you notice also Trump was applauding America last night, not himself. Trump was applauding the greatness of America, not himself. And I know this guy Jay in Fairfax. The essence of the tax cuts, he wants to talk about how meaningful it might be to people and maybe how unmeaningful to others. We’ll see.